Würth Elektronik eiSos presents a wide variety of new electronic and electromechanical components at embedded world (Nuremberg Exhibition Center, February 26-28, 2019, Hall 3, Booth 3-247). A focus in the manufacturer’s extensive trade show program: sensors and wireless modules for embedded systems. In various forums at the trade show as well as in many presentations, technicians and developers from the leading European manufacturer of electronic and electromechanical components will inform about technological trends and new products. At embedded world, Würth Elektronik eiSos provides the first insights and outlooks on its new product family – Sensors: temperature sensors, absolute and differential pressure sensors as well as three-axis acceleration sensors. 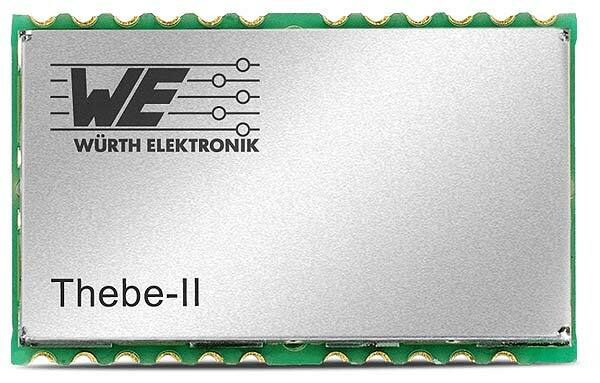 Moreover the proprietary module Thebe II, the WiFi module Calypso and the Bluetooth modul Proteus II represent the next represent the next step towards digital communication. To set the scene for the trade show focus on sensors and wireless modules, Würth Elektronik eiSos throws out a challenge to its booth visitors. “Step into the ring and measure your power”. A punching bag and boxing gloves are equipped with the manufacturer’s new acceleration sensors and wireless modules. Those who accept the sporting challenge see on a display how strong their punch is. From the acceleration of the punching bag and its mass, the force the boxer transfers to the punching bag is calculated in real time.